Cyber Monday Sale @ Budget Pet World- Pet Care That Is Affordable & Reliable! Like we discussed the other day, Budget Pet World is on a roll since it has been launched. As the season of discounts has begun we are trying to give the same benefits to the pet owners that a fully flourished online store might give. Thus, here we are with one more discount offer for you, a Cyber Monday Sale! Cyber Monday comes right after Thanksgiving Day which was initiated in 2005 to market the online sellers around the country. Since then, it has been a trend to offer huge saving deals on this day and is an official beginning of Christmas shopping. To blend in with the world of discounts and give you the much deserving advantage, Budget Pet World offers a discount of 15% on all pet supplies on Cyber Monday. How is Budget Pet World Reliable? Our store has products from the biggest pharmaceutical brands for dogs, cats, and birds. We have tried to include all the important categories for a healthy living of pets, which are flea & tick, wormers, heart wormers, wound care, eye & ear, dental wellness, and more for both, canines and felines. Thus you can rely on us with any kind of treatment or brand that you need. We also offer buy safe guarantee and money back guarantee with each of your purchase which makes us reliable. How is Budget Pet World Affordable? As our name suggests, Budget Pet World is all about providing pet caring options under your budget without compromising on the quality. We sell the best of brands at discounted rates which make your buy affordable. Cyber Monday Discount will help you save 15% on your total buy at Budget Pet World. 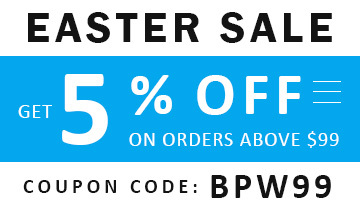 This trimming of price on our already discounted rates will let you save big on the purchase. Moreover, we offer free shipping worldwide! 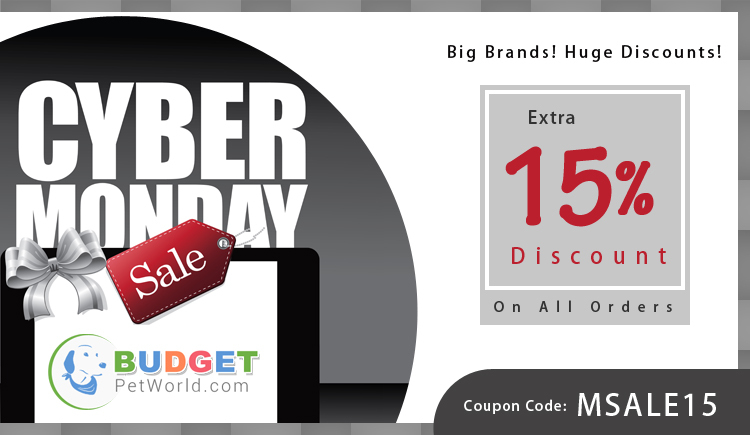 Use coupon code: MSALE15 to avail Cyber Monday discount on Budget Pet World. Giving a healthy living to pets is not anymore expensive with our products and brands. Shop more this festive season to ensure a yearlong prevention for pets and save more! Black Friday Deals at Budget Pet World- Shop More, Save More!